Just like 2018 has brought some of the world's best phones and tablets, it also delivered the high-end TVs, especially gorgeous 4K TVs with Ultra HD technology that is taking the mainstream market by storm. If you are about to hop on the 4K Ultra HD bandwagon, there will pose a problem - what is the best 4K TV 2018 to buy and how to choose the right one from the exponentially growing 4K televisions? To help with the bewilderment, we've created the roundup of the best TVs in 4K UHD 2018 as well as other useful tips to enrich your UHD gaming at 60fps and viewing experience. Despite the jury is still out on curved screens, as Samsung's best-rated 4K TV in the world, the HU9000 is worthy of our top rank, thanks to its otherworldly display quality, upgraded refresh rate, a quad core processor that brings up another exceptional quality of the 4K TV. What's more, the connectivity of this 4K UHD TV 2018 is well enough to allow you to enjoy the latest movies and TV shows on Netflix, Amazon Prime and other streaming services in 8 million pixels of near perfect ultra HD resolution. Tips: Please bear in mind USB can carry films, documentaries and showreels in the HEVC H.265 format at frame rates up to 60fps. If you are going to enjoy 4K content in other formats on Samsung's best 4K Ultra HD TV from USB, please turn to a video converter for 4K UHD TV. 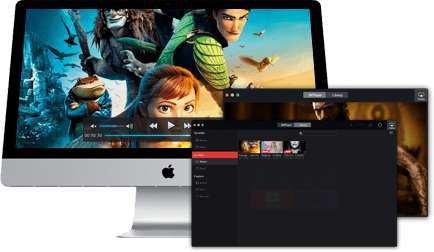 Here MacX Video Converter Pro is highly recommended, which is able to download 4K UHD movies, and transcode videos to Samsung TV, Sony/LG/Panasonic 4K 2160p TVs recognizable formats with no hiccurp. This amazing Sony TV has virtually no bezel, coupling with a great-look base. 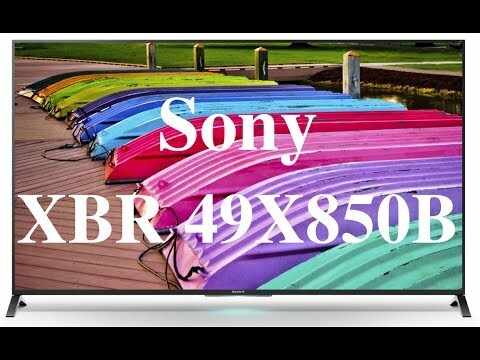 So even its price tag is relatively high, the Sony XBR49X850B is still a winner in rating the best TV with 4K resolution. 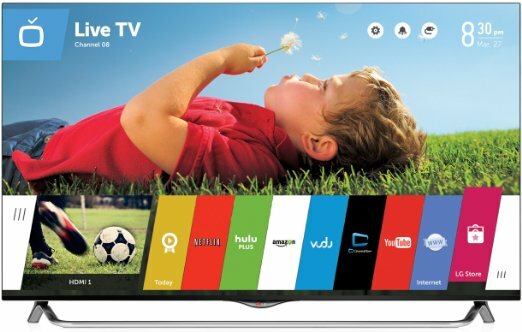 This television touts almost all the top-notch functionality you want in 2018, inclusive of upscaled 4K Ultra HD resolution, 3D viewing as well as a touchpad remote control for all your streaming media needs. The picture is exceptionally sharp and the minimalist design is one of your favorites of any 4k model. So for a high end picture and relatively small display, it is among the top picks for the coolest UHD 2160p TVs for gaming 60fps in 2018 on the market. Generally, 4K ultra HD TV followers will never go wrong with Samsung TV. Different from the curved U9000 model, the UN65HU8550 is the flat Ultra HD set, which delivers near-flawless picture quality, with surprisingly good black levels, option of watching 3D content, as well as excellent color accuracy, even in those ever-difficulty flesh tones. Watching 4K movies or TV shows on this TV is just like looking through a window into another world. With all the awesome features, together with the very competitive price, This Samsung makes it the perfect TV with 4K display to buy in 2018. The LG line of 4K UHD TVs is the fourth best UHD TV models 2018 in their price range. It is famous for its exquisite image quality and highly competitive prices, with the LG 55UB8500 as a relatively affordable 4k model. 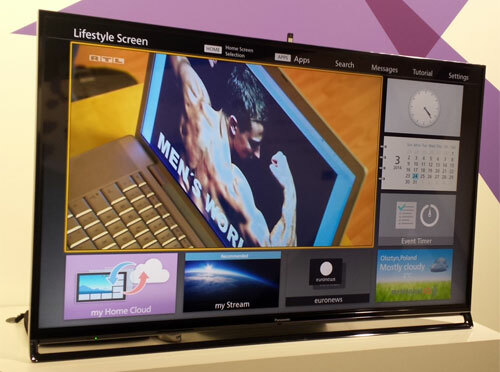 This LG TV has a crisp 4K picture, declares full smart TV functionality, offers a unique version of WebOS that allows you to stream the content you want immediately. This include everything Netflix has to offer, as well as Amazon Prime instant video, Hulu and Hulu Plus. Be the way, the practically no bezel makes it one of the best looking movie and game TV available in 2018. Panasonic TX-50AX802 combines Ultra HD 4K resolution and advanced picture processing with Freetime, which is a brilliant TV that stands out from other similar televisions in 4K. It delivers crisp image quality with stunning 4k performance. Thanks to its Home Screen launch page, it is easy to create a bespoke UI. However, If you are going to watch Netflix 4K content through this TV, you will get into trouble. But still it is the better Ultra HD TV from the same brand in 2018 attributing to its recent firmware update. 5KPlayer - 100% free 4K video player to play 4K/8K/1080p/720p HD video on Mac/Windows PC. Also free stream 4K video movie from Mac/PC to 4K HDTV and airplay 4K from iPhone iPad iPod to Windows (10) and macOS (Mojave) smoothly & clearly! 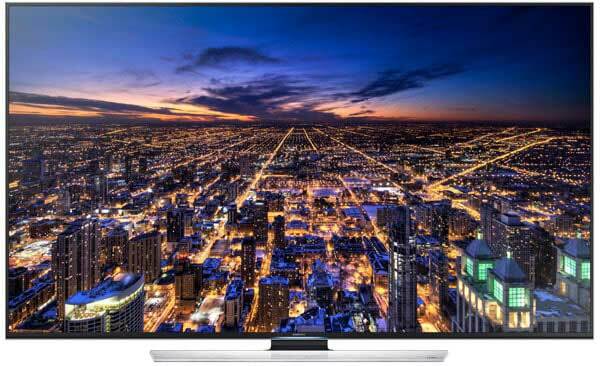 What is TV with 4K Technology: What is 4K UHD TV on earth? 4K TV, also famous as Ultra HD or UHD, is the next generation of television picture quality with 3840x2160 pixels, at least 8 million active pixels 4Kx2K in a frame. specifically, a 4K ultra HD TV picture displays 4 times the detail of HD 1920x1080. Big brands like Samsung, Sony, LG and Panasonic offer 4K Ultra HD TVs of various price tags, making 4K technology mainstream in the market. The following lists the best of TVs with 4K resolution for 2018. How We Benefit from the TV: What is 4K TV and how it brings to us? With 4K Ultra HD TVs, you can get a lot of detail. In an exact way, you can have a very good cinema-like experience than the previous technology. The high pixels on 4K 2160p TV helps to produce the texture with the most subtle details. What's more, 4K Television has enabled it to deliver 4 times the normal resolution, thus it is able to do without losing clarity and brings you close to nature that you think you are watching it live to an extent. How to Enrich Best Ultra HD TV 2018 Viewing Experience: this kind of TV is becoming cheaper than ever. And there is an overwhelming trend that more and more people would like to get such television, even the TV with 4K display to kick off 2018, for movie/video enjoyment. After you get the best 4K uhd tv in the world, you can stream 4K contents from the 4K movie provideres like Netflix. Or another way is to download the rich 4k movies online without losing any quality with the downloader mentioned above. UHD VS 4K: Despite 4K technology is becoming mainstream. The TV brands prefer the term Ultra HD or UHD to 4K. Feel a little confused? What’s the Difference Between 4K and UHD? Just scroll down for the in-depth 4k UHD TV vs UHD TV review. The typical UHD VS 4K difference lies in the resolution. Generally, consumer electronics equipment uses a slightly lower resolution in UHD than 4K. Ultra HD or UHD measures 3840x2160 pixels while 4K is 4096 by 2160, 4 times the previous standard for digital editing and projection 2048 by 1080. The second difference between UHD and 4K is the former is a consumer display and broadcast standard while the later is a professional production and cinema standard. Actually, almost every TV advertised as 4K is actually UHD, just as the abovementioned TVs in 4K that are Ultra HD TV, to be frank. See also 1080p vs 4k.